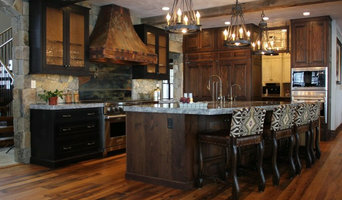 Old Hampshire Designs, Inc. is an award-winning design/build company located in New London, NH. We've earned our reputation by building quality homes in the Dartmouth/Lake Sunapee region since 1984. We are committed to distinctive craftsmanship and excellent customer service, and are a leader in green building practices and energy-efficient design. We want you to not only love your new home, but also have an enjoyable experience throughout the entire design and construction process. During the design phase we work with you to create your customized plans. We then acquire the permits and construct the home. This collaborative results in a seamless transition from initial concept to completion. If you’re already working with your own architect or designer, we also enjoy working exclusively as a General Contractor. We are available for renovation consultations and commercial construction. Our skill set and expertise results in projects that successfully stay within the budget and time frame that you choose. Please let us know if you have any specific questions about this process, we are here to help. Our professional woodworking experience began in Boston in 1973. We moved to Royalston, Massachusetts in 1976 and have been crafting timber frames there ever since. We have raised frames throughout the northeast and as far away as Alaska. Our frames have been featured in The Christian Science Monitor, the Boston Globe, Joiners’ Quarterly, and Home Resource Magazine. We believe that there are three things that make for a successful building experience: good planning, good communication, and good craftsmanship. We would be happy to work with you as you plan your project. For Weare residential home builders who also act as developers, the job starts well before the first nail is driven. They perform local market research to determine whether the prospective homesites make sense in the Weare, NH market, as well as survey the land on which the house will be built to make sure it is suitable for construction. Custom builders also obtain the necessary permits. 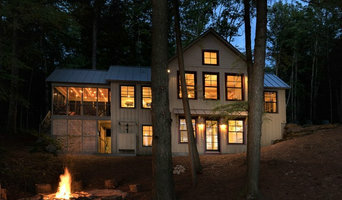 A good custom home builder in Weare, NH has skills that go far beyond construction — he or she must supervise subcontractors and artisans; keep tabs on local zoning regulations, building codes and other legalities; inspect work for problems along the way; and perform dozens of other roles that are essential in building a quality house. Here are some related professionals and vendors to complement the work of home builders: Interior Designers & Decorators, Landscape Architects & Landscape Designers, Architects & Building Designers, Kitchen & Bath Designers, Specialty Contractors. House builders are responsible for ensuring that the home-building project sticks as closely as possible to the specified timetable, particularly in the event of change orders. Custom and luxury home builders in Weare, NH also need interpersonal skills to deal with clients of all types, soothe frazzled nerves, negotiate conflicts and resolve problems. Find custom home builders in Weare, NH on Houzz. 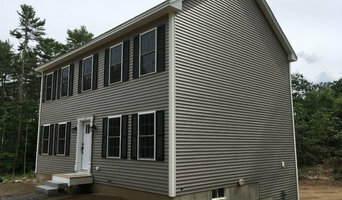 Narrow your search in the Professionals section of the website to Weare, NH home builders. You can also look through Weare, NH photos to find a house you like, then contact the builder who worked on it.